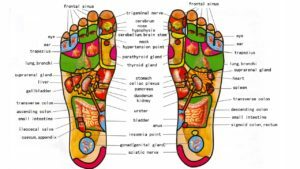 Reflexology – Its Benefits are amazing. Due to a sedentary lifestyle, we don’t use the feet muscles properly and wear tight footwear, all this hampers the circulation of feet. A 10 minute foot massage daily, helps in transporting oxygen to the body’s cells, which is essential for overall health. After a tiring and stressful day, a foot massage is a soothing way to relax. 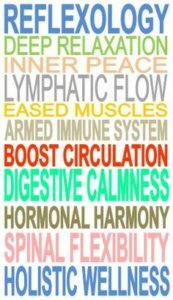 Massage and reflexology of 5 to 10 minutes before going to bed can improve feelings of general well-being.